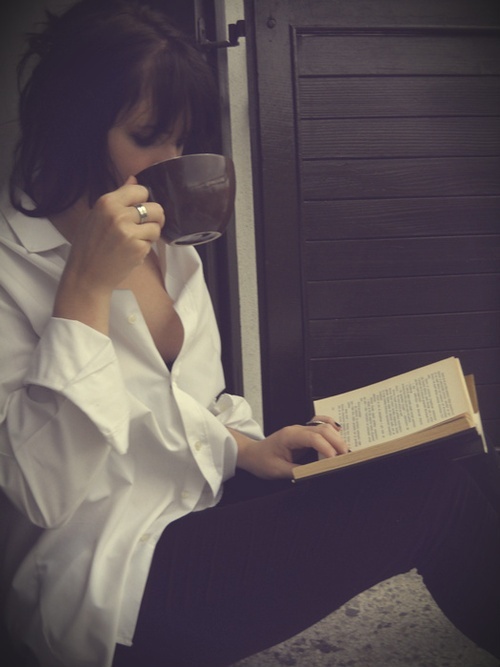 theres nothing i love more than curling up on a wintry evening with a mug of hot tea and a half-read book. december for me means cooking lots of hearty stews, mulled cider, and relishing the simple comforts of home. this gift guide is dedicated to homebodies everywhere. what about you – how do you hibernate? Aaaah! 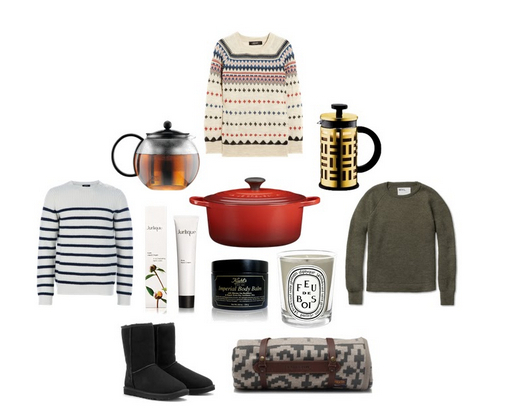 I love that Isabel Marant sweater. Why u enable me? No but seriously, I've been looking for a Fairisle sweater for a while now and the IM sweater looks beautiful except it has 13% polyester... not cool. I've been hibernating in the most delicious manner this weekend. My little sister came to visit on Thursday, and we have been eating chocolate, buying Christmas presents and watching Harry Potter movies ever since. Also, I think I might be the only girl in the blogosphere who's never owned a Diptyque candle! haha ours is honestly the most-used item in the kitchen! your weekend sounds heavenly! I hibernate in bed, watching old movies or favourite tv shows. I catch up on my reading, magazines, blogs, and books. And I use an oil burner with sandalwood oil, which makes my room smell wonderful. oooh sandalwood is one of my favorite scents. i need to get some scented candles this week! ours was a gift from a dear friend - and one of the best gifts ever! My hibernation has recently begun and I'm using my Le Creuset pot more than ever. Since I can't share my biggest essential (my cat) I'm giving all my friends little tea pots and tins of homemade chai for the bleak January that follows. hehehe - cats ARE essentials, i love your gift idea! woah this gift guide is SO my style! i DIED over the french press - makes me want to throw away my bodum and replace it with this one. what a beauty!